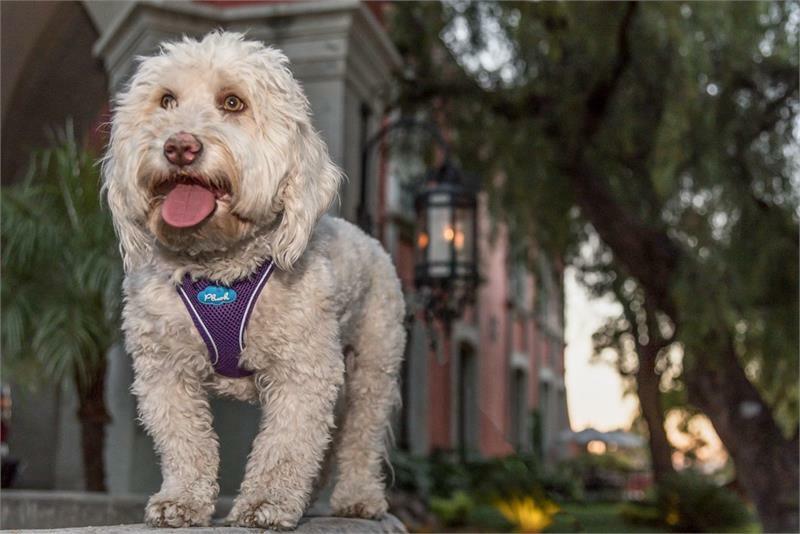 The Plush Vest harness is amazingly soft and self-contouring to perfectly fit your dog's body. It relieves pressure from the throat/neck area and has no irritating nylon straps! 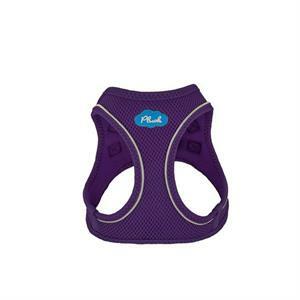 Your pooch simply steps in to the harness, you pull it up above the shoulders and close it with the adjustable velcro fastener. Then, fasten the easy to use click-lock, attach your leash through both rings and away you go! Both "legholes" are encircled with reflective piping making it extremely easy to see for safe walks at night or dimly lit areas. Care: Machine wash gentle cycle. Dry flat. *HARNESS SIZING RUNS ON THE SMALL SIZE.